The increase in heroin addiction is reaching epidemic proportions because of the abuse of prescription pain killers such as Oxycodone and Vicodin. Most modern pain relievers are opiates or come from the poppy. That’s why with the new drug realities it’s so critical to understand opiate addiction facts, because these facts apply to all kinds of opiate addiction. The more you know and understand about opiate addiction the more you can help you or your loved one to avoid it. FACT: Opiate medications are pain killers. FACT: Opiate medications come from the opium poppy plant, which has for countless centuries been used for pain relief. FACT: Over 6000 years ago it was discovered that the white, milky substance that oozed from the plant’s unripe seeds would dry into a sticky brown gum and could be eaten. The scientific name is “papaver somniferum”, otherwise known as opium. The raw alkaloids, codeine and morphine are produced naturally in the plant. In small amounts it could be useful in controlling pain, or giving relaxation. FACT: People discovered that opium could also be dried and smoked, producing a “high” or feeling of euphoria. Opium dens were common in Asia and came to the United States when Asian workers came to build the railroad. FACT: Opiates are highly effective in controlling moderate to severe pain, but they also have a downside. Opiates are highly addictive once you start abusing them generally you will become addicted to them, opiate addiction facts are ignored at your own peril. FACT: Opiate medications are derived from processing the opium into morphine, which was introduced in the early 1800’s by German scientists. Also learn About Demerol Abuse. FACT: Morphine was touted as a miracle drug and used widely during the Civil War, only it was discovered that it was addictive, although its developers thought it would not be so. Because of the pain killing effects of opiates opiate addiction facts were swept under the carpet and many Civil War soldiers became opiate addicts. FACT: To avoid the addictive downside of Morphine, the scientists went back to work on Morphine and developed a drug they “knew” would not be addictive—Heroin. They were of course WRONG! FACT: The codeine alkaloid is the basis for commonly prescribed pain medications such as Hydrocodone (Vicadin), Oxycodone (OxyContin) and Acetaminophen with codeine (Tylenol 2, 3,4). FACT: Since its introduction over 10 years ago, Oxycodone has been widely abused and street sales have skyrocketed. FACT: More powerful opiates, such as Hydromorphine and Oxymorphine, are derived from the other alkaloid, Morphine. FACT: Taken as prescribed by a doctor, opiate medications should not cause major problems, but human nature always pushes the limits. People will take too much, too often thinking that more is better. The avoid the reality of opiate addiction facts. FACT: Morphine is used to treat severe pain. It is used by the military and in hospitals. FACT: Addiction to an opiate, often referred to as a narcotic, is a major health and social problem in the world. FACT: When abused, opiates produce a “rush” or “high” that users seek. This feeling of euphoria is followed by drowsiness. FACT: Opiates can cause respiratory failure, high blood pressure, cardiac arrest, coma and death. FACT: Opiate addiction can develop quickly or over time, but it is characterized by the inability of the person to stop using. FACT: Opiate addiction is a brain disease. FACT: Opiate addiction is not curable, but it is manageable through treatment and recovery programs. FACT: Many unsuspecting parents and grandparents leave their opiate medications in the bathroom medicine cabinet where they can be easily taken by young children. Children who take these drugs quickly learn how to abuse them. Children who use these drugs realize soon that they are expensive and will seek out street heroin dealers, who offer the same high, but less expensive. FACT: Many opiate deaths are the result of overdose. Users do not realize, understand when they have taken too much. FACT: Opiate addicts avoid treatment because they are afraid of withdrawal, which can be rather unpleasant but rarely fatal. They crave the drug and experience muscle and bone pain, insomnia, restlessness, nausea and vomiting, sweating, involuntary muscle twitches, dry mouth. FACT: Opiate withdrawal will usually peak between 48-72 hours after the last use. But withdrawal can last much longer, depending on the individual. FACT: Medications have been developed to lessen the impact of the withdrawal and help addicts rid themselves of the need to use. Principal among these are Methadone and Suboxone, both synthetic opiates themselves, but both act to block the impact of the opiates. 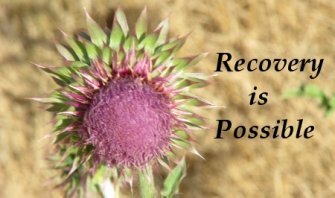 FACT: Opiate addicts will often relapse while in recovery. Addicts may have to go into treatment several times before success is realized. Have a question or story about Opiate Addiction Facts? Please ask your question or share your story Opiate Addiction Facts. Questions or story about Opiate Addiction Facts? Click below to see contributions about Opiate Addiction Facts. Nothing will destroy every area of life like addiction can! The rise in opiate-related overdoses. Book about the troubles of addiction. How to determine boundaries for helping addict? What can I do to make my husband see he's an addict? It's a WAR and we are all in it! Trying to help a friend cope with his brother's drug addiction? Why is it so HARD to get methadone? Can we get our daughter committed for rehab/detox at age 31? What's should I do to help my heroin addicted daughter? How to help our son who is in treatment? For more information about addiction visit How-to-Stop-Drug-Addiction-1. You can also visit Finding HOPE after rehab.